Here is the super spectacular 33rd episode of our horror podcast under the MULTI-MEDIA MEN banner called ‘My Bloody Podcast‘, where the show is related to all things HORROR! Here on this new show, Preston Barta from Fresh Fiction and the Denton Record-Chronicle and I talk about everything we love about horror movies, tv shows, and horror themed music. In our thirty-third episode, our topics include discussions on the new trailers for Jake Gyllenhaal’s new film ‘Velvet Buzzsaw‘ and the new series ‘What We do in the Shadows‘. We also talk about what horror films we can expect at SXSW 2019, a new Al Pacino horror film on the way, and the ‘Suspiria‘ B-Sides soundtrack, and upcoming horror releases from Scream Factory. We also talk about the new movie ‘PLEDGE‘. Our Bloody Question this week was: “Most puzzling moment/character decision in a horror movie?” . We also give you “Bloody Recommendations” of two horror films, being ‘Hell Night‘ and ‘Hell Fest‘. 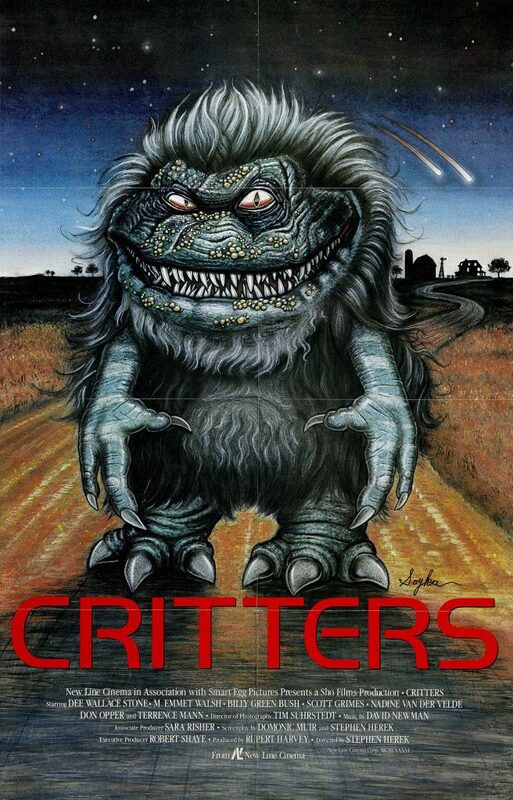 Our big topic is, of course, is ‘CRITTERS‘, where we discuss the film, its production history, the actors, and more. It was so much fun. This episode is guaranteed to thrill you, chill you, and fulfill you. This entry was posted on Friday, January 11th, 2019 at 4:22 pm	and is filed under Film, News, Podcast. You can follow any responses to this entry through the RSS 2.0 feed. You can skip to the end and leave a response. Pinging is currently not allowed. « ‘Pledge’ – Film Review! Why all the effort to get transferred? It's the first question that popped into my head. I guess the same reasons as you. The same reasons you had before you decided to quit, yeah? Y... You just met me. Maybe I'm not understanding the question. Very simple. You actually fought to get re-assigned here. I've just never seen it done that way before.